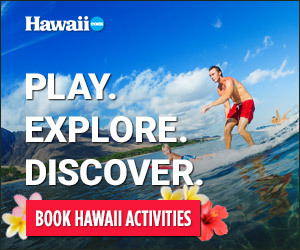 Most Hawai‘i Island HELICOPTER TOURS originate from Kailua-Kona or Hilo. But there is one company that flies out of Waikoloa on the Kohala Coast. BLUE HAWAIIAN HELICOPTERS maintains a PRIVATE HELIPORT in the high-end tourist area, making it convenient for Kohala Coast visitors to book a tour. Blue Hawaiian Helicopters, which conducts tours throughout the islands, is a well-respected company with more than 25 years of experience. One tour flies over an ACTIVE VOLCANO AND LAVA FLOWS in HAWAI‘I VOLCANOES NATIONAL PARK, then turns to explore the magnificent RAINFORESTS AND WATERFALLS of the HAMAKUA COAST. Another tour takes you to the KOHALA COAST, where more waterfalls, towering SEA CLIFFS and ANCIENT HAWAIIAN SETTLEMENTS blend into deep valleys and acres of rainforest.